So ready that I began planting viola and pansy seeds on January 6. I thought I was actually behind schedule, but when I checked last year's calendar, I'm actually two weeks ahead! Every year, I get carried away with pansies and violas. This year is no exception. I have planted eight different varieties so far. That's definitely more than I need, but by the time these flowers bloom in late March/early April, I'm so desperate for a flower fix that they are more than welcome. Sorbet Delft Blue viola seeds in the palm of my hand. 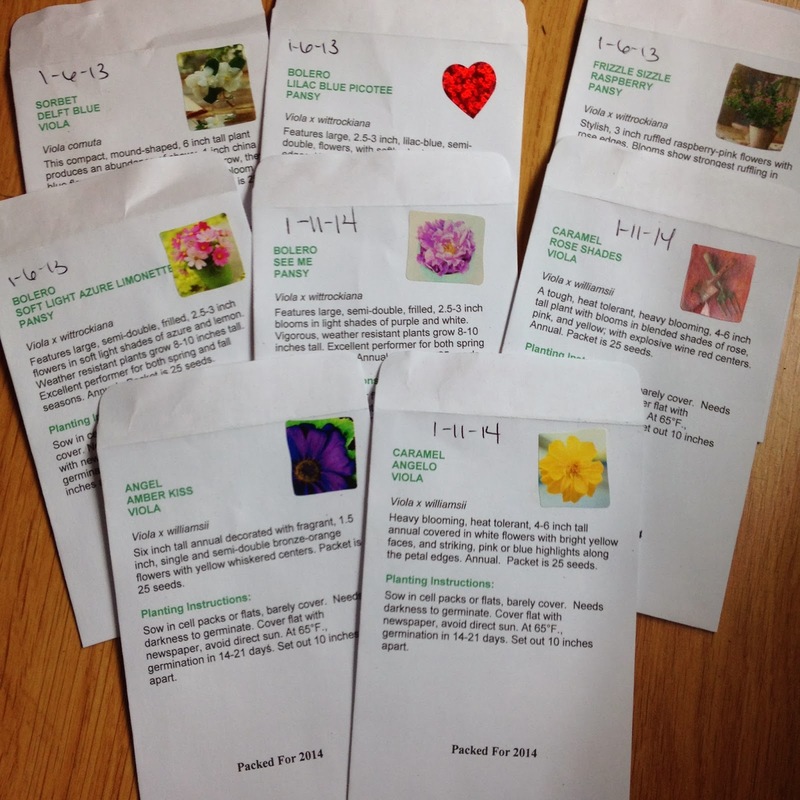 To keep track of what is planted where, I use stickers to label my plastic pots and seed packages (as seen below). After sowing the seeds, I place the plastic containers in plastic bags from the grocery store. Then I tie off the bags to replicate a little greenhouse. In the case of pansy and viola seeds, they need darkness to germinate. I place newspaper or pieces of cardboard on top and then stash them in my living room where they won't get much light. They take about 10-14 days to germinate, but I always start checking at the fifth day in. 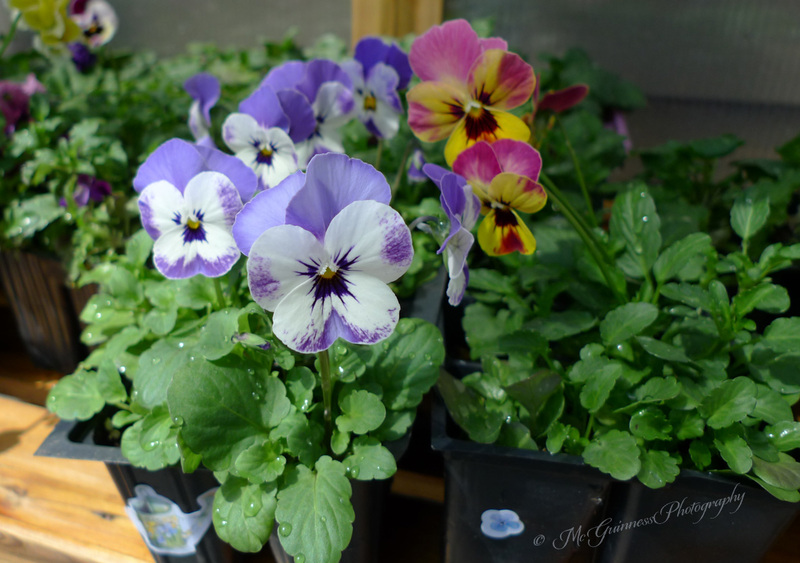 Viola and pansy seeds to kick off spring planting 2014. Sorbet Delft Blue viola seedlings on the left from last year. Caramel Rose Shades viola on the right from last year. 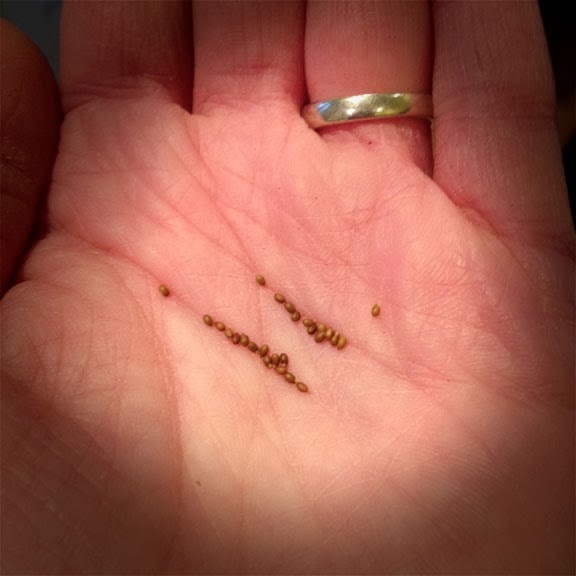 Yesterday I also planted daylily seeds that I collected from last year's garden. I'm not sure which variety is which or if they cross-bred, so what emerges will be a nice experiment and a surprise. This week I need to sort through my older seeds to see what is left over from past growing seasons. I went overboard on ordering last year so I may not need to order as much this year.